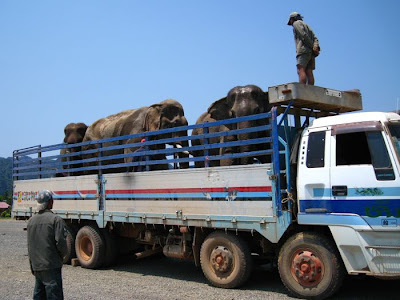 Took these pictures in Vang Vieng last year - my colleague told me that they were elephants working for a logging company; they were being moved to another site. 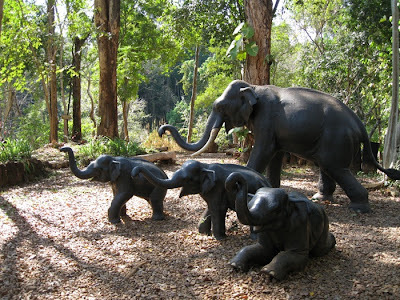 Elephant statues at Pa Suan in Champasak province in southern Laos. 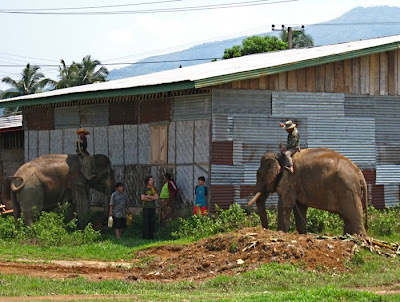 These elephants are a little less than life-sized, and the kids like to play around them. Some times when we've visited here, people have garlanded the statues and lit incense in front of them. 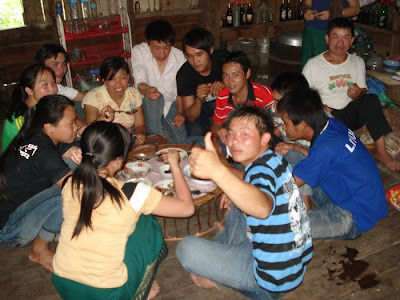 Eating together at Lao New Year in a friend's village. The young people did most of the cooking while us elders sat together and talked. The kids served us and when we were finished, they all sat down to eat. 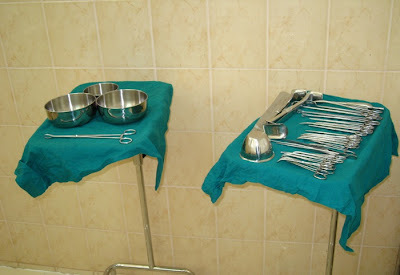 Equipment that our organization provided to a district hospital. 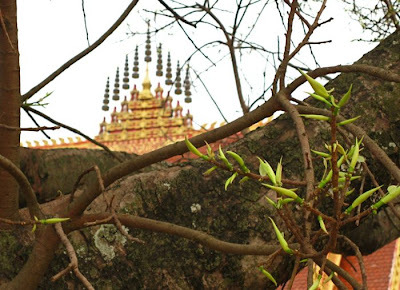 Evidence of spring - I took this at Wat Sribounheung in Vientiane City in February. The first shots of this impressive Bodhi tree were starting to sprout. I looked up this picture because I walked along the river to look at the flood damage this past week - and was horrified to see that the impressive tree had been pruned. I guess maybe they were worried that the branches over the Buddha images might do some damage if they fell - but why did they have to cut the limbs that stretched out over the river bank? A great set of picks for this weeks E entry. Terrific elephant shots! I didn't know they could be loaded onto a truck like this! Hope the truck can take the weight! Wow! What a wonderful E post. Thanks so much for sharing!